The Town of Niskayuna partnered with Energy Systems Group (ESG), a leading energy services provider, to serve as the prime contractor of a multi-year project that will include improvements to its 3 million gallons per day (MGD) wastewater treatment plant. The new systems will improve treatment during storms and wet weather, ensuring the protection of the nearby Mohawk River. In addition to meeting New York State Department of Environmental Conservation (NYSDEC) wet weather management obligations, the plant improvements will expand the plant’s treatment capacity to 3.5 MGD, positioning Niskayuna for future economic growth. The initial stage of the project will center on meeting the NYSDEC wet weather management obligations which will ensure the facility effectively treats what enters it during storms and other “high flow” events. Future phases of work will include upgrades of major treatment processes and facility infrastructure. One aspect of the project will leverage the existing anaerobic digesters’ excess capacity to accept organic waste, produce additional biogas, and use it as fuel for onsite electricity production. The plant’s new ability to produce energy on-site will make it an energy net zero facility, and will create a new source of revenue for the town from the receipt of the organics. The new systems will improve treatment during storms and wet weather, ensuring the protection of the nearby Mohwak River. The plant upgrades will improve operational efficiency and reduce the wastewater treatment plant’s carbon footprint by incorporating renewable energy. Two new 180,000 gallon secondary clarifiers for improved wet weather and wastewater treatment. Final stage of treatment before release to the Mohawk River, in compliance with NYSDEC requirements. New plant water system reduces use of drinking water for treatment process needs. Provides onsite power generation when service from the Electric Utility is lost, such as during a storm event. Used methane gas from anaerobic digesters to heat oil, reducing natural gas use. The heated oil is used in the sludge dryer to reduce its moisture content. Provides new capability for acceptance of organic waste from the food processing industry. Creates a new source of revenue for Town and increase methane production in anaerobic digesters. Major renewal of entire anaerobic digestion system, the key treatment process for wastewater biosolids. Includes all major elements of the system. Efficiency improvements for lighting and mechanical systems in plant buildings. Why did the Niskayuna take on this project now? The more than 50-year-old Niskayuna Wastewater treatment plant had not been upgraded for over 30 years. Therefore, significant investment is required to make the repairs and replace the worn out plant infrastructure to ensure that the Town remains in compliance NYS DEC rules and regulations. This has been an ongoing effort that began three years ago. The ultimate goal of the project is to ensure that the Town has an operational facility that will meet the community’s needs long into the future. An additional benefit is that the plant will be “net zero,” which means it generates the energy it uses. Accepting organic resources at the wastewater treatment plant will allow the Town to convert those organics into energy, offset gas and electric costs, and generate much needed revenue to assist the Town in the payback of debt associated with upgrading the plant. This innovative approach — implementing “green” technology — will help to minimize the impact to all the rate payers in the Town’s sewer district no. 6. What methods were used to notify the public of this capital project? The Town Board is committed to transparency, and every action taken as part of the project development has been in open public forum including the Conservation Advisory Council meetings, DPW Committee Meetings and Town Board meetings. All of these are open to the public, and many have been and continue to be covered by the press. In addition to the two CAC meetings conducted as part of SEQRA, there were three public hearings for each of the three bond issuances for this project. Reports were prepared for each public hearing and notifications issued via the typical notification processes for Town projects. A ground breaking ceremony was held in April 2017 with significant local press in attendance as well as this project specific webpage that was initiated in April 2017. Most recently, another public forum was held on July 9, 2018 to take questions from the public regarding the project. What is SEQRA? Did the Town follow SEQRA? SEQRA stands for State Environmental Quality Review Act, which is the process required by New York State Law for assessment of any project’s impact on the environment. The Town followed all of the requirements of SEQRA prior to moving forward with the project. The SEQRA process included the Town of Niskayuna’s thorough environmental review, following Environmental Conservation Law, with the review and assessment of impacts documented on NYSDEC’s Environmental Assessment Form. The assessment was vetted by the Town’s Conservation Advisory Council (CAC) at two of their public meetings in 2016, was distributed to interested and involved agencies for their input, and was presented at a public hearing before it was finalized. This very thorough process resulted in a determination that the project would not have a significant adverse environmental impact. What is the status of the DEC moratorium? 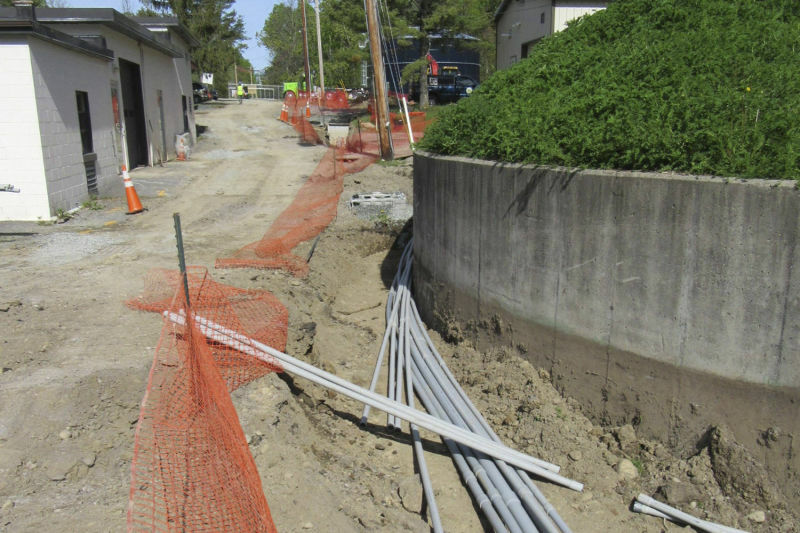 New York State DEC issued a moratorium on new sewer connections to the wastewater collection system within the Town of Niskayuna a number of years ago, thus preventing residential and commercial growth within the town. Due to substantial improvements implemented at the wastewater plant with the upgrade project, the moratorium has been lifted and the Town is once again permitted to allow new wastewater customers from new development within the town boundaries. What type of organic product will be will be arriving to the wastewater plant? Organic resources could arrive from a variety of generators. Expired soft drink from the Pepsi-Cola bottling plant in the Town of Colonie, wastes like Fats, Oils and Grease (FOG) from food processors and restaurants, and other organic biodegradable materials will be considered for treatment at the plant. Ultimately, the Town Board has full control to review and accept, or reject, any potential organic product from being treated at the plant. Will the acceptance of organics cause odors at the facility? No. Organics will be received in contained trucks, offloaded via hose to an enclosed pump system after debris removal, and then pumped into tank. Liquids in the tank will be pumped systematically to the fully enclosed anaerobic digesters, which have been in operation at the treatment plant for decades, for ultimate treatment. All organic treatment will occur within these enclosed vessels to mitigate odor potential. Will the volume of waste increase? Currently the town board is considering approval of one delivery of organics per day. Any additional potential material will be tested by the wastewater treatment plant and subjected to Town Board scrutiny. The Town Board may then approve or reject the material for treatment. How much traffic increase will result because of organic waste acceptance? The initial contract allows one delivery per day between the hours of 10 a.m. and 2 p.m. Any additional deliveries to the treatment plant would be subjected to review and approval or rejection by the Town Board. Were alternative access roads into the wastewater treatment plant considered for the trucks? Yes, but there were too many wetlands to make an alternative route viable. Whitmyer Drive has a low speed limit, now posted at 10 mph. at the 90-degree bend. The sight distance was improved substantially over the summer 2018 by clearing out brush that obstructed visibility. The Town plans to widen the road at the 90-degree bend and at the intersection with River Road to improve the turning radiuses for trucks. Why is the debt service increasing for the wastewater treatment plant? Like any project financed through bonding, debt service is increasing to repay the bonds over the life of the project. The Town moved forward on the project when it did because it was advised by its comptroller and other financial advisers that interest rates were at an all-time low and that it would make the most fiscal sense to undertake a project of this significance when it was most cost-effective to bond. What are liquid organic materials (a.k.a., organics)? Liquid organic materials, or organics, are the by-products of the creation of many food, beverage, and other biodegradable household products. Organics can also be by-products of the food and beverage distribution and service businesses. The following are a few examples of organics. Beverage companies generate organics when they get rid of expired product through a crushing process. When plastic bottles or aluminum cans are recycled, the expired product from the crushed containers is collected. The collected material is a potential organic. Hotels and restaurants have grease interceptors on their sewer lines. 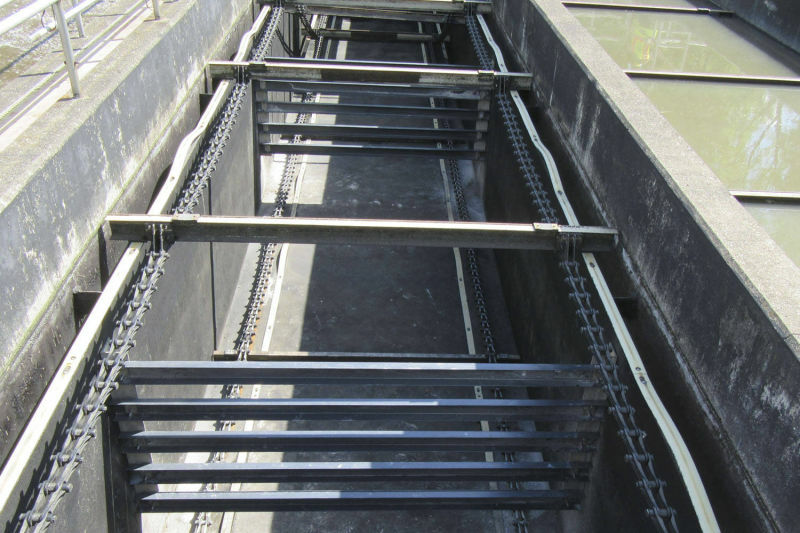 These interceptors collect fats, oils, and grease (FOG) before they enter the sewer system. The interceptors are periodically cleaned and the removed FOG is a potential organic. Food manufacturing plants occasionally overproduce based on their production schedule, or have batches that do not meet the production standard. This material is not packaged and is a potential organic. How does the treatment plant have the ability to accept organics? As part of the existing wastewater treatment infrastructure, the plant has large tanks where anaerobic digestion occurs. Anaerobic digestion is a series of biological processes in which microorganisms break down biodegradable material in the absence of oxygen. Currently, the plant’s digesters help to break down municipal sludge that flows to the plant from the Town’s collection system. The digesters have excess unused capacity that the Town can use to process additional organics. How do the imported organics affect the plant’s ability to meet the Town’s treatment needs? The treatment plant staff’s primary job is to ensure that the plant is compliant with its SPDES permit, which dictates the characteristics of the final treated effluent released into the Mohawk River. Potential organics are tested and determined to be appropriate and safe before they are accepted by the plant. Since this material is processed in the plant’s excess capacity, it will not have an adverse impact on the plant’s ability to meet the Town’s municipal treatment needs. Why would the Town want to accept organics? The Town benefits in several ways from accepting and processing organics. The first way is that organics providers pay a fee to the Town for accepting and processing the material. This fee creates new sources of revenue to help defray the fixed costs of operating and maintaining the Town’s collection and treatment systems. The potential value of these fees is in the hundreds of thousands of dollars annually. Without this new potential revenue, all the costs associated with the plant would have to be covered by the Town’s ratepayers. Second, accepting organics can drive economic development for the Town and the greater area. When looking to site a new production facility, food and beverage companies are attracted to regions where they can receive sufficient water supplies for their processes and can dispose of their organics in a cost-effective way. Niskayuna’s ability to provide these services can help bring new businesses and jobs to the Capital Region. Third, accepting organics increases the production of biogas in the plant’s anaerobic digesters. This biogas is captured and cleaned to provide fuel for the plant’s cogeneration system, which produces green energy to run the treatment plant. The plant will meet a significant portion of its electricity needs with power generated by organics. How does the Town determine what organics to accept? Energy Systems Group (ESG), the Town’s project partner for the wastewater treatment plant upgrade project, will locate organics providers that are interested in disposing of their organics at the treatment plant. Their organics will be sampled and tested for acceptance appropriateness. This ensures that the organics will not negatively impact the plant’s treatment process. ESG will then work with the Town’s staff to create a suitable contractual agreement for Niskayuna to accept the organics for an agreeable fee. The agreement’s terms will be reviewed and agreed to by both the Town and the organics provider. The Town, not ESG, will then make the decision of whether to execute the agreement with the organics provider. How do organics arrive at the treatment plant on Whitmyer Driver and what kinds of vehicles will deliver the organics to the treatment plant? Since the organics cannot enter the plant through the municipal collection system, they will arrive at the treatment plant by truck and will be added directly into the anaerobic digesters for processing. The trucks will vary in size from 1,000 gallons to 5,000 gallons. All trucks will comply with New York State Motor Vehicle and Traffic Law. What kinds of vehicles will deliver the organics to the treatment plant? Organics will arrive at the plant in tanker trucks. The trucks will vary in size from 1,000 gallons to 5,000 gallons, and the number of trucks arriving at the facility will vary by day. All trucks will comply with New York State Motor Vehicle and Traffic Law. Who will determine what organics are accepted at the treatment plant? The Town Board will make the final determination of what organic materials may be accepted for treatment. What role does ESG have regarding the organics? After construction is completed, ESG will work with the Town under an annual support services contract to provide a set of services focused on supporting the Town’s organics efforts. This contract covers things like customer coordination, operations support (but not on-site staffing), and logistics. Does ESG benefit financially from the Town’s accepting organics? All revenue generated from accepting organics goes to the Town. ESG’s support services agreement is an annual fee and not directly connected to the revenue collected.